Rashaad Penny put up incredible production in 2017, largely against inferior opposition though. He’s a fantastic kick returner which will help insulate his value and ensure he earns a role out of training camp. I also believe he’s an underrated pass catcher because he proved to be a factor in the passing game when his team needed it against the biggest opponents (see the Stats & Accolades section for details on this point). Penny does not have any injury concerns to report, nor any character concerns. Penny decided to stay in school for his senior year despite a 1,000+ yard 2016 season when he was the second fiddle to FBS leading rusher Donnel Pumphrey. Coming back to school ended up being a great decision for Penny. At the Senior Bowl, Penny actually measured taller and heavier than I expected which is a good thing. He is officially being listed at 5’11” and 224lbs on the Senior Bowl roster (some sites estimated 5’10” and 220lbs”). We don’t have a 40 yard dash time for Penny yet but NFLDraftScout.com estimates he’ll run in the 4.52 range – good but not great. 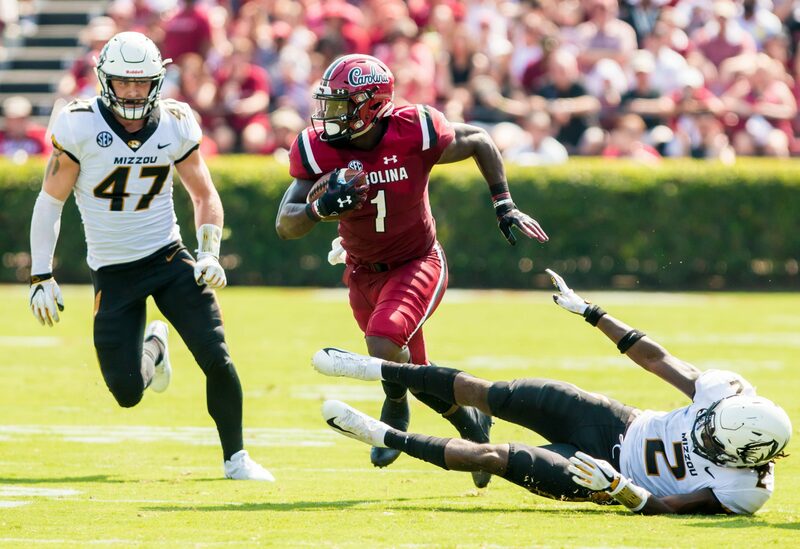 Stats & Accolades: I’m not telling you anything you don’t already know when I tell you that Penny was a standout this season: his 2,248 rushing yards led the FBS. He started with a limited role as a sophomore in 2015 but still managed 5 TDs from scrimmage and added three more as a returner. In 2016 he took on a bigger role and ended with 1,242 yards from scrimmage and 14 TDs; he also returned a pair of kickoffs for scores too. In 2017, he exploded. Despite being the bellcow on his way to that FBS leading rushing total, Penny still managed to add 2 receiving TDs, and 3 return TDs. All told, he has 52 career TDs. What may be even more impressive is that Penny has a 7.5 yards per carry average for his career. Penny’s game logs don’t disappoint either. 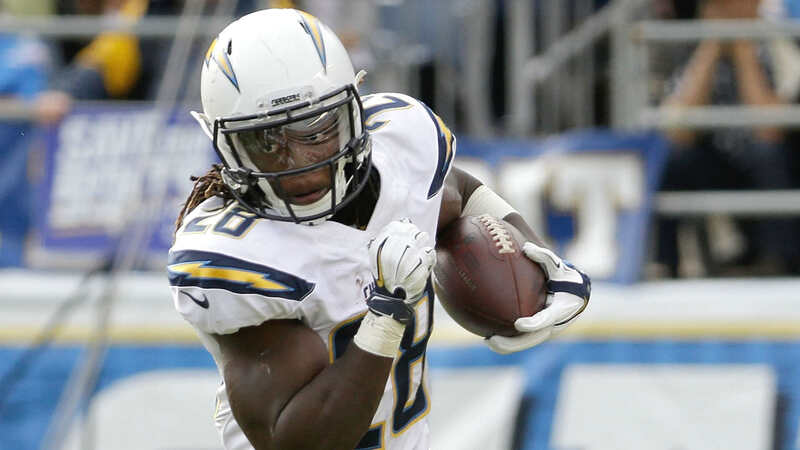 He has 15 career games with over 100 rushing yards. He’s gone over 200 yards in seven games, including a streak of five straight to end 2017. One knock on Penny is his competition playing in the Mountain West. To get a feel for his production against Power 5 teams I delved deeper into his 2015, 2016 and 2017 game logs. 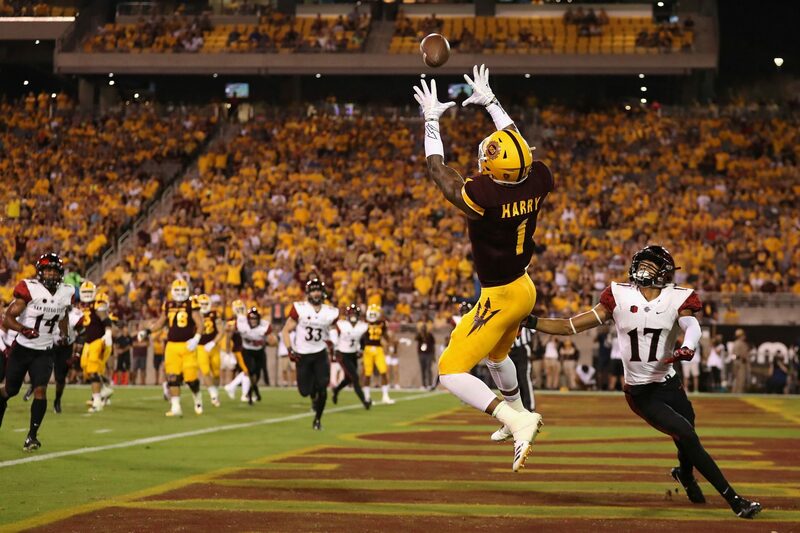 He played five games in those three years against Power 5 opponents (Arizona State, Stanford, Cal twice, Penn State). In those games, Penny rushed 64 times for 508 yards (an average of 7.9 yards per carry) and 2 TDs. He added 11 receptions, 97 yards and 2 receiving TDs. But wait there’s more… he also totaled 3 kickoff return TDs. Interestingly, 26% of his career receptions came against Power 5 opponents which made up just 12% of his games from 2015-2017. That’s a good sign in my opinion as it shows he can be a receiver when needed. Let’s recap, in five games against Power 5 teams, Penny averaged over 8 yards per touch, not counting the kick return yards, and scored seven touchdowns. Sign me up. Not only is Penny clutch against better teams, he’s also clutch when his team is behind the sticks. On 3rd downs, Penny’s yards per carry average jumped to 11.79 in 2017; on 39 such carries, he converted 20 of them for a first. I checked Pro Football Focus’ Signature Stat Guide to see if their stats backed up the traditional stats that show below and discussed above. Unsurprisingly, they do. 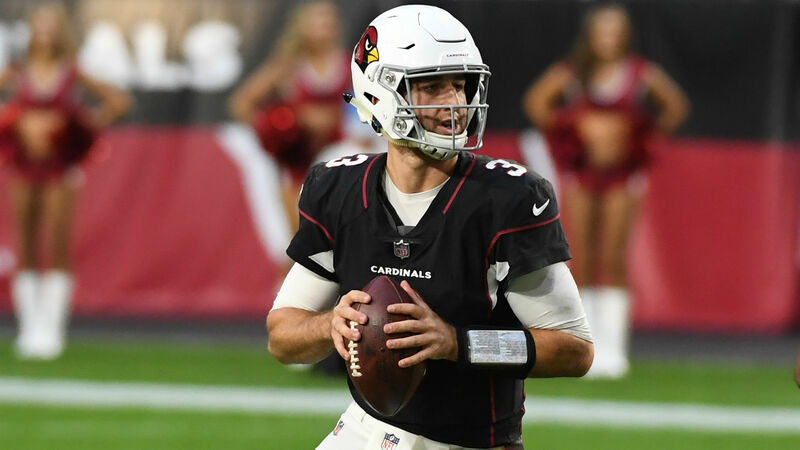 PFF ranked Penny as the 3rd highest in their Elusive Rating stat. Elusive Rating takes broken tackles and yards after contact into account to help control for uneven offensive line play. The two backs ranked higher than Penny, Damien Harris and Bryce Love, both decided to return to school for their senior seasons so Penny reigns supreme as the most elusive back in the draft. Over his career, Penny fumbled the ball seven times, losing five. In 2017, Penny had an incredible number of long runs. He had 58 over 10 yards and 29 over 20 yards. For comparison, the other two backs in this profile were well behind: Michel had 33/11 while Jones had 41/16. I remember watching the San Diego State vs Stanford game earlier in the season so that was my first choice. I wanted to revisit that game and see if, with the benefit of hindsight, I was still impressed with Penny now as I was then. The answer is yes. That doesn’t mean I didn’t see some negatives though. Against Boise State, a film I picked because of the Broncos’ above average defense, Penny mostly struggled but there was one highlight play I’ll touch on (including one awful play in pass protection that luckily didn’t end worse for his quarterback). My overall impressions were that Penny is quicker than he is fast, cuts well, has excellent vision and is a versatile player who can be utilized in numerous ways. I would say he is an average pass blocker. I counted ten pass protection situations in the two games where I felt I could either grade Penny as a plus or a minus to the play’s protection; of those ten, I counted three negative plays. Something that I had read about Penny and was interested to see on film is his tackle breaking ability. He breaks some tackles (I counted twelve in the two games) but much of his yardage comes when he makes tacklers miss rather than breaking their tackle. When reviewing PFF’s Elusive Rating stat, I have previously thought to myself, “why do they list it as ‘missed tackles’ rather than ‘broken tackles’?” Now I realize why. When Penny has the lane and the open space to make defenders miss, he does. When he runs into contact at, or near, the line of scrimmage he is often bottled up for little gain. He’s not the type of back that you can run into the defensive line on three successive plays and expect to move the chains before fourth down. Penny is much more adept at pressing the line of scrimmage and waiting for his cut-back hole to open up. He’s also good at bouncing the play outside but since he lacks elite speed he’s better off cutting it inside. He’s not very good at lowering his head and ramming the ball downhill. He does not keep his feet well and is often susceptible to low tackles that other stronger backs may shrug off. Penny was heavily involved in the passing game against Stanford (5 passes) but not at all against Boise when he struggled. He is utilized all over the field through different positions and motions. There were a few good examples I found of Penny’s running style that I’ll describe here. I would highly recommend checking out the links to these plays so you can see them in action. I have linked them to the corresponding Youtube video right to the specific play. The first prototypical example I’ll show comes early in the second half on first down. Penny angles to the right, running right up the back of his guard. The line gets such good push that he actually ends up cutting into the other A gap between the LG and C as they finish their blocks. It’s an effortless run for 15 yards. Later in the third, Penny shows an even better example of his vision. Penny starts left as the RG and RT combo block the end before the guard moves to the LB on the second level. The TE helps seal the hole and Penny cuts twice, first to the right and then back to the left through the hole. The next play shows how Penny can adapt and use his elusiveness as a play breaks down. He takes the pitch eight yards deep, sheds the first defender. Just past the line another defender squares up to take Penny down. As he runs towards the sidelines, with his shoulders parallel to the sideline, he cuts back towards the line of scrimmage and away from the defender. It buys him just enough space to beat the tackler. He then turns on his speed and makes it to the first down before two pursuing defenders. It was a key play that came late in the upset over #19 Stanford. Against Boise, Penny again shows his ability to get the edge, this time after his intended cut back lanes are clogged. He bounces it outside and the defense, which was stacking the box all game, doesn’t have anybody with an angle to get Penny in time. The last play I’ll discuss is the bad pass protection play against Boise. Ultimately the play didn’t matter as it came in a big loss and the fumble that was caused was overturned but it’s still instructional. Penny finds himself momentarily staring down two pass rushers. He’s probably unsure about who he should block and hesitates. The tackle ends up taking the inside rusher but by then it’s too late for Penny to get to the outside rusher. The defender gets to the quarterback just as he is throwing the ball. If he got there a split-second sooner, as the rusher probably would in the pros, it would have been a big hit right to the chops of the unprepared quarterback. Strengths: Durability, lack of an injury history, versatility as a kick returner, elusiveness, production vs Power 5 teams. Weaknesses: Lacks elite speed, played lesser competition in the Mountain West, not very active in the passing game. Opportunities: Can earn an instant roster spot in training camp as a kick returner. Would be a great partner to an established veteran, a la Mark Ingram and Alvin Kamara in New Orleans. Threats: The lack of success by former teammate Donnel Pumphrey as a rookie may sour some on his potential (i.e. the “system” tag some QBs get). 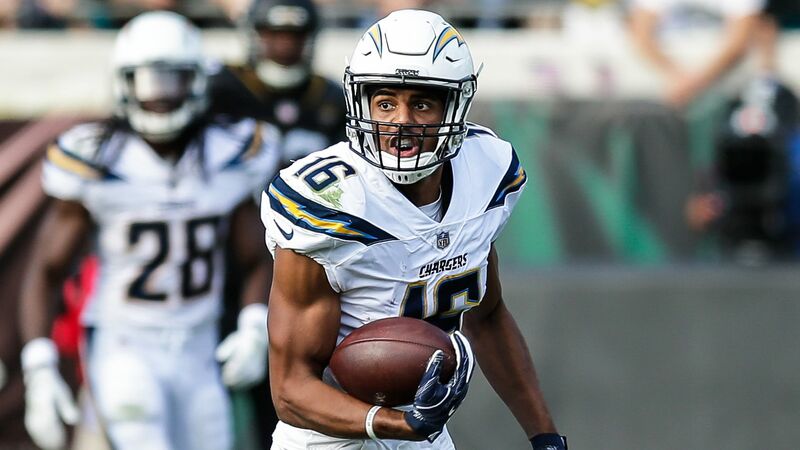 Some teams may see him more of a kick returner than a feature back in the NFL and may not be willing to spend a high enough draft pick on him. I’d love to put Penny higher because he’s a favorite of mine but I don’t think NFL teams will bite. Penny isn’t elite so he won’t see the 1st round and there are so few 2nd round running backs in recent history (just five in the last three drafts) that I think it’s inevitable he falls to the 3rd. If Penny falls out of the 3rd round, he’ll be a prime trade up candidate to start Day 3. I struggled to find a comparison for Penny that ticked all of the boxes I usually seek. I feel most comfortable with a comparison when they 1) have similar size and speed, 2) have a similar playing style, 3) produced similarly in college and 4) had a similar draft grade. I was first leaning towards Boston College’s Andre Williams as his production somewhat mirrored that of Penny, especially in their senior seasons (down to receiving Heisman votes), but when you watch the two play they are of a totally different style. Of all the other possibilities I considered, I thought Prosise was the best fit for playing style even if their production was not comparable. Like Prosise, Penny gains most of his yards because of his vision, change of direction and elusiveness rather than by sheer strength and tackle breaking ability. Prosise was a more accomplished receiver at Notre Dame but as I’ve outlined, I have faith in Penny’s receiving ability. Prosise is conspicuously missing any kick or punt return experience so Penny has a huge advantage there. Sony Michel has been rocketing up fantasy rookie draft boards lately after his success against Oklahoma in the College Football Playoff semi-finals. With good reason too: Michel totaled 202 yards from scrimmage and 4 TDs in that game. It was the best of his career and it was extremely well timed. Like many of the young men we’ll meet this draft season, Michel has an interesting story. He’s the son of Haitian immigrants. His parents and sister ended up getting jobs at his high school to help improve their meager means, an opportunity most certainly offered due to his standing and on-field success at the school. As positive as my character notes are about Michel, my injury notes are quite negative. In my opinion, there’s enough here to dent Michel’s draft stock. In 2014 he broke his collarbone which forced him to miss multiple games. In 2016 he broke his arm in what could have been a much more serious ATV accident; the injury occurred in the Summer and Michel ended up missing the season opener. 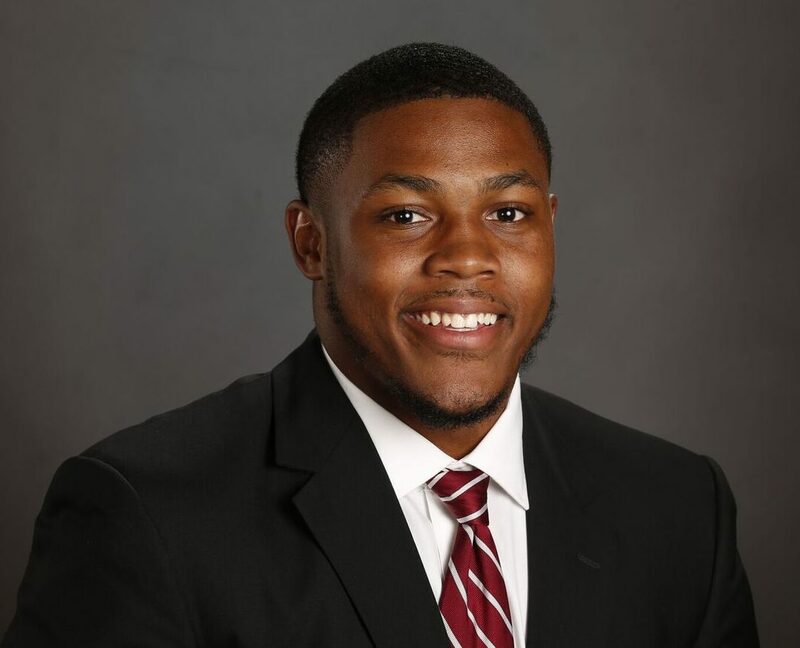 In 2017 Michel suffered two injuries: 1) a minor ankle injury against Notre Dame that led the coaches to hold him out against Samford and 2) a knee injury that forced him to leave the SEC Championship game early. These injuries aren’t debilitating or impossible to come back from, obviously, but I fear it may signal missed time in the pros. 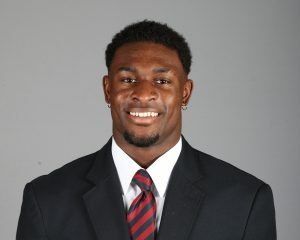 Michel has decent size for the position (5’11”, 215lbs) and has about 4.50 speed. As a senior, Michel is a bit older than many prospects. 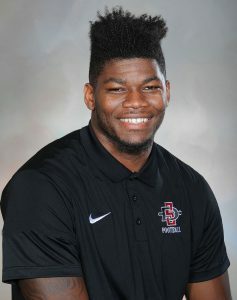 DLF lists him as 22.9 years old which is almost a full year older than Rashaad Penny and nearly 2.5 years older than Ronald Jones. There’s a lot to like about Michel but armchair draftniks have to be careful that they avoid the recency bias and look at Michel’s full profile rather than his most recent stats. Stats & Accolades: By now we all know the underlying story of Michel’s production. For most of his time in Athens, he was the second option behind Nick Chubb (side note: I loved reading that Michel and Chubb are best friends, that’s awesome). The only time that Michel got to shine as the lead back was in 2015 after Chubb had gone down with a serious knee injury. In that season Michel had seven double digit carry games while he had just one combined the last two years. You’ll notice that his per carry averages are lowest in that season (5.2) than the other seasons when he had the benefit of sharing the load (6.4, 5.5, 7.9). I don’t necessarily think that Michel cannot handle a starter’s load but I am merely pointing out that he typically has not and when he has, his performance per carry has declined. 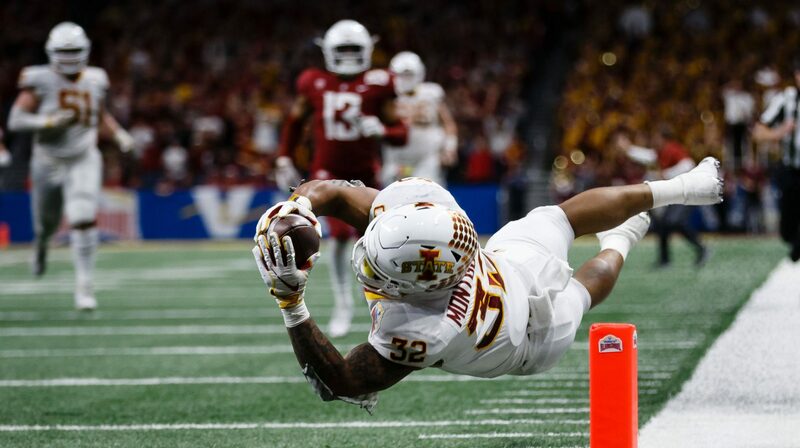 As I mentioned above, Michel had the best game of his career this postseason against Oklahoma (11 carries, 181 yards, 3 rushing TDs; 4 receptions, 41 yards, 1 receiving TD). He has four other 150+ rush yard games in his career so he does have the ability to go-off. Michel found lots of success running the ball this season on a championship quality team. He hit career bests in rushing yards, rushing TDs and yards per carry. He led the SEC in yards per carry and ranked fifth in the FBS overall. Pro Football Focus ranked him as the 7th back in their Elusive Rating category (interestingly, one spot behind Chubb). Michel was most effective as a receiver as a sophomore and junior and then showed that ability again against Oklahoma this season. In those two seasons, Chubb combined for a solid 29 receptions, 419 yards and 4 receiving TDs. He’s far from the best pass catching back in this class but it does add to his value. Michel has issues with ball security. He has 12 career fumbles, five of which were lost to the defense. I started with a film from 2015 so I could see Michel when he was the lead back with Chubb out. The game that was available was against Auburn. I was not impressed with Michel’s running in this one for the most part. Most carries have him running right up the gut for little to no gain. The first outside run I noted was a sweep in the middle of the third that gained 9 yards. His best run came late in the third. 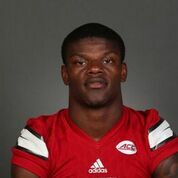 He takes a pitch right up the middle, uses his blockers well, breaks two tackles and collides with the defensive back. He churns his feet and tries to push the defender forward. He ultimately fails and is short of the first but it was still a good effort. Michel had two attempts inside the five yard line in the game and failed on both. One of those attempts was actually a fumble where he missed the pitch; it could have been equally the quarterback’s fault but ultimately it was charged to him (Georgia recovered it which led to his second failed attempt). I counted five broken tackles, two of which came on that one play highlighted above, and that might have been generous. Most times when Michel is contacted near the line of scrimmage the play ended shortly after. I was encouraged by the progress that I saw in Michel in the 2017 film against Notre Dame. His third run of the game was reminiscent of the run in the Auburn game where he failed to push the defender back. This time, he nails the safety with a lowered shoulder and falls forward for the first. In this game he looked much more explosive and patient than he did as a sophomore. His best successes came when running inside of LT Isaiah Wynn (an NFL prospect himself). The explosiveness and patience was evident in this late fourth quarter run. It’s a 3rd and 1 when Georgia was down 19-17. Michel takes the pitch left, the end is unblocked and it’s up to Michel to make him miss. He does just that after a hard plant with his left foot and an explosive cut to the right. He easily brushes past the arm tackle. This happened in the backfield though so Michel still has yards to gain to get the first. He sees WR Javon Wims blocking a corner and heads towards him rather than cutting upfield where he wouldn’t stand a chance. He runs right at Wims which makes the defender decide if he wants to try and beat the block to the inside or the outside. Michel calculates he won’t be able to make it around the outside so he waits for Wims to angle his block as the defender leans outside. By that point Michel easily gained the first. It was a great play that illustrated a number of traits that Michel improved between his sophomore and senior seasons. Like you, I watched the Georgia vs Alabama game a few weeks ago but I wanted to watch the film once more. I ended up not taking a single note about any of Michel’s runs because I was so impressed with his pass protection. There were a number of plays where he excelled but there are two I’ll highlight, both blocking potential first round NFL talent. I’ll show the later one first. On this play, Michel is responsible for the blitzing safety, Ronnie Harrison. Michel patiently waits for Harrison to hit the line and picks up the blitz to give QB Jake Fromm enough time to deliver a deep pass which ended up going for a score. Michel does not show the best blocking mechanics on the play, it looks like he sets his base too soon and may get beat inside if the play extended but it was enough to let Fromm get the ball out. An even better pass protection play came earlier when Michel stood up 308lb DT Da’Ron Payne. The DTs run an inside stunt and Payne ends up with what would be a free rush at the QB if Michel did not stay home on the play. Wynn, the LT, pushed his rusher inside but before he can come back outside for Payne, he falls. Michel was in good position and actually initiates contact with Payne driving a shoulder right under his chin, which momentarily pushed Payne back. Michel keeps Payne in front of him with good hand placement. Of all the good runs I saw Michel make while watching these three games, this was the single most impressive play I saw. 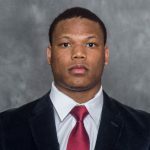 Strengths: Personality, pass catching ability, pass protection, flashed in biggest games of his career this postseason, is a good teammate as evidenced by his friendship with starter Nick Chubb. Weaknesses: Injury history, ball security, was rarely used as the RB1 except for in 2015 after Chubb’s injury, age. Opportunities: Teams will view Michel as a solid third down back because of his pass catching and pass blocking abilities. He’ll be a good locker room guy as coaches will not have to worry about him complaining about playing time. 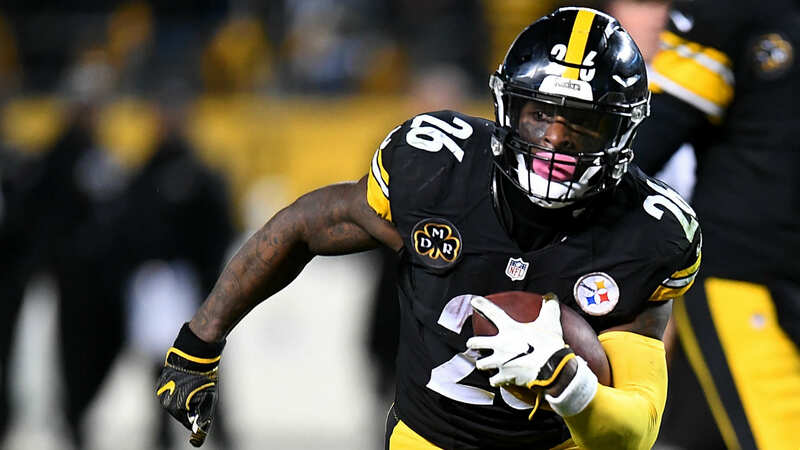 Threats: Teams may hesitate to draft Michel as their lead back which could hurt his draft stock – it’s hard to draft a situational player in the second round. The combination of his injuries, age and usage in college could be just enough to scare off teams. Since he played behind Nick Chubb for most of his career, there’s a chance we haven’t seen Michel’s full potential. Unfortunately, he does have numerous injuries in his history. When I started this profile, I was anywhere between early 3rd and 5th round. After studying his stats and history, I was leaning towards the 4th round. However, after seeing how adept at pass protection Michel was against Alabama, I’m willing to bump him into the middle of the 3rd round. 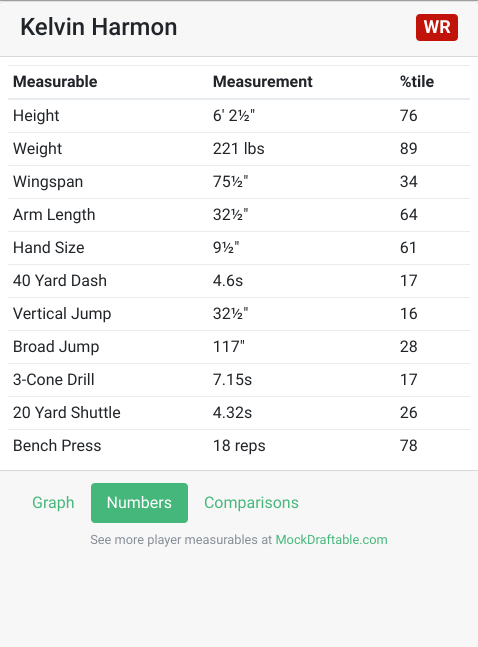 Mack and Michel are nearly identical prospects when you consider their size, speed and production. Mack measured at 5’11” and 213 whereas Michel is estimated at 5’11” and 215lbs. 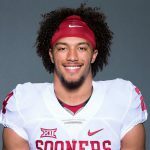 Mack ran a 4.50 whereas NFLDraftScout.com estimates Michel will run a 4.52. 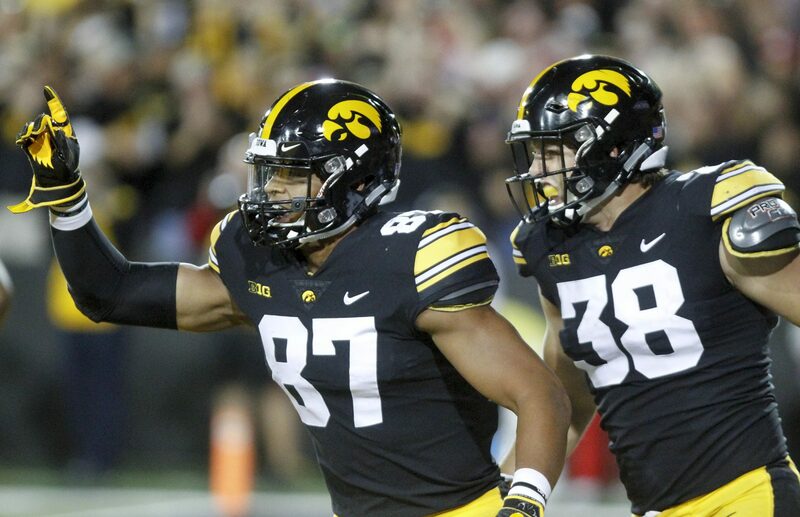 Mack rushed for 3,609 yards, a 6.2 yards per carry average, 32 rushing TDs and added 65 receptions; Michel’s line is 3,613 yards, a 6.1 average, 33 rushing TDs and 64 receptions. Mack was drafted in the 4th round so the draft grade is reasonably close too. When I watch highlights of Mack, he looks to run with a more upright style but there’s enough similarity there for me to make the comparison, especially compared to Michel’s Notre Dame tape. I was low on Ronald “RoJo” Jones to start the 2017 season but I have come around in a big way. My biggest concern about Jones was his weight. At approximately 6’0″ he needs to weigh in at at least 200lbs. Looking back at NFL Combine measurements since 2010, you’ll notice a bad trend for somebody Jones’ size: only three backs have measured 5’11” or taller and less than 200lbs. Unfortunately, those players don’t exactly inspire confidence as they are Taiwan Jones, CJ Spiller and Joe McKnight. Luckily, Jones has increased his weight year-over-year and I expect him to get near 210lbs when he officially weighs in. 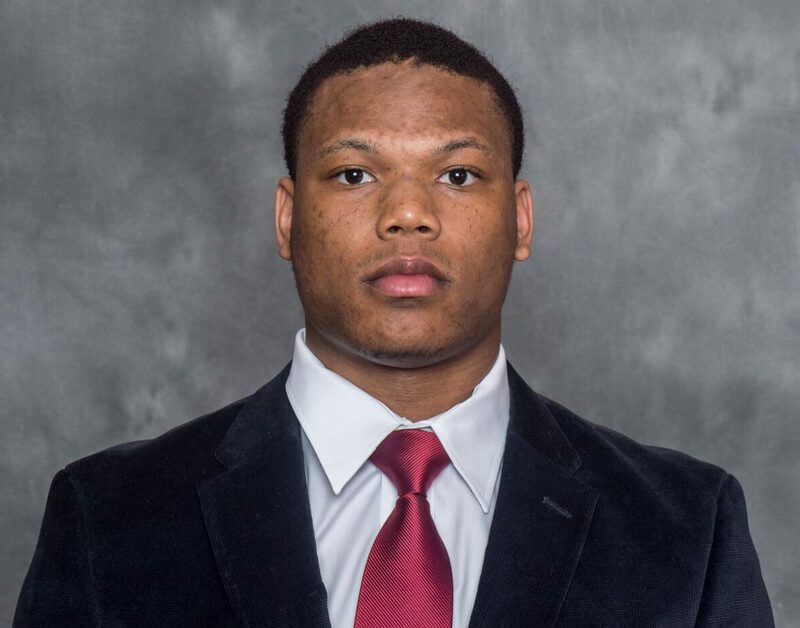 I checked USC media guides for the last three years and his weight progression was 185-195-200; an LA Times article from July said that Jones was already up to 205lbs at that point. If Jones weighs in at less than 200lbs, I plan on dropping him down my board. A benefit of not carrying too much bulk is that Jones is lightning quick. 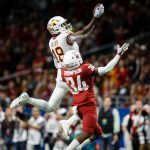 NFLDraftScout.com estimates he’ll run a 4.39. Jones has a few minor injury nicks on his resume. The first being a 2016 rib injury that he played through but limited his touches (just 36 carries in the first five games). The second being a 2017 injury that kept him out of the game against Cal; the injury was reported as both an ankle and a thigh injury so I’m not sure which it truly was but I expect the ankle. Thankfully that injury did not linger as he gained 128 yards the next week against Washington State. 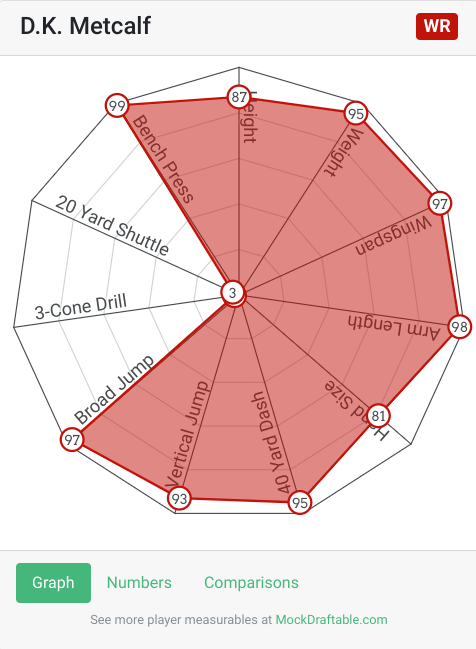 Even though he was a three year starter, Jones is exceedingly young. Per DLF, Jones is the youngest prospect in the class at 20.5 years old. When I was researching Jones’ personality and character I did not find much of note. I found an interview prior to the Cotton Bowl where he said “I like to play silently” which ultimately explained the dearth of articles out there. 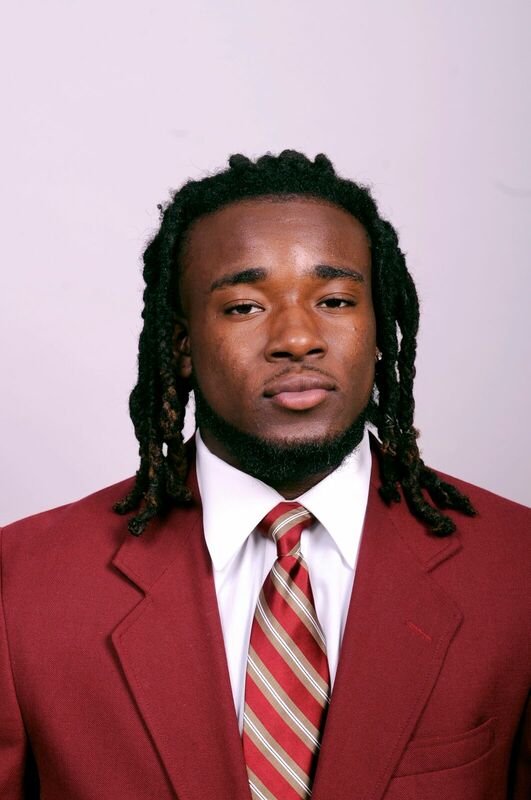 There were two funny things I came across in my character research… 1) teammate Stephen Carr said that Jones has “horse legs” which made me actually laugh out loud and 2) “Ronald Jones” was apparently a character in both The Hunt for Red October and Halloween: H2O. 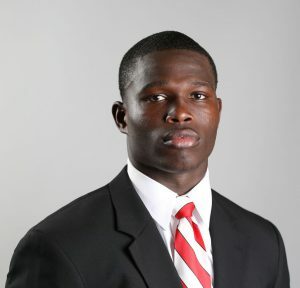 If the NFL doesn’t work out for Jones, maybe he has a future as a vanilla background character in Hollywood! Stats & Accolades: In addition to showing a good progression with his weight, Jones has a good progression with his base stats. His carries, yards and touchdowns have all increased year-over-year, as have his receptions and receiving yards. Jones is not a big pass catching threat with just 32 career receptions but his huge 13.4 average per catch this season is encouraging. Jones’ yards per carry average has decreased each season, however it was still a strong 5.9 at it’s lowest so I’m not that concerned. 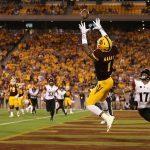 Jones had two huge games in 2017 with 216 rushing yards and 2 TDs against Arizona State and then following it up with a 3 TD and 233 scrimmage yard outing against Arizona. Jones’ biggest game of 2015 came against Arizona too (177 yards) so maybe he just has a personal vendetta against the state? I like that the Trojans gave Jones 261 carries this year (14th most in the FBS) which shows me they were less concerned about his durability this season than in the past, likely a factor of him bulking up. 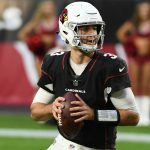 In the aforementioned PFF Elusive Rating statistic, Jones ranked 15th. He also shows up in their Pass Blocking Efficiency table with a 94.2% efficiency. Per their stat tracking, Jones had 67 snaps in pass protection and allowed just five hurries and no sacks. Jones has the best ball security by far of this trio of running backs. He has just two career fumbles and lost just one. He was perfect in 2017 without a single fumble. Jones was mostly held in check against Texas as a rusher (just 47 yards on 18 carries) but he still made a huge impression. Two of the first three plays of the game for USC featured Jones split out blocking on wide receiver screens. That tactic continued throughout the game when Jones was often utilized as a blocker in the open field. This play is a good example of Jones blocking downfield. He starts in the backfield but motions out to the right, to the wide side of the field. He runs up field with a tight end to form a perfect lane for WR Steven Mitchell to run through after he catches the screen. Due to the strength of the Longhorn defense, Jones was often called on to help in pass protection too. I counted nine positive pass pro plays and no negative plays; he’ll need more size, experience and improved technique to stand up to NFL defenders but it’s a good start. Jones only had one reception in the game but he made it count. It was late in the second quarter with just 0:05 left with the score tied 7-7. Jones stays in to protect at first but then leaks out as a safety valve for QB Sam Darnold. Darnold is forced to scramble and finds Jones who had stopped his route in the open field to make an easy target for Darnold. Jones turns up field, jukes the first defender, and then uses his speed (and a great block from Mitchell) to beat the defenders to the pylon. At one point there are eight pursuing defenders in the frame and none of them can get an angle on Jones. Without the momentum, and the points, that that play provided USC likely would have been upset by Texas. Jones had two goal line carries and was stopped just short on both; the second came on 4th down so it was also a costly turnover. 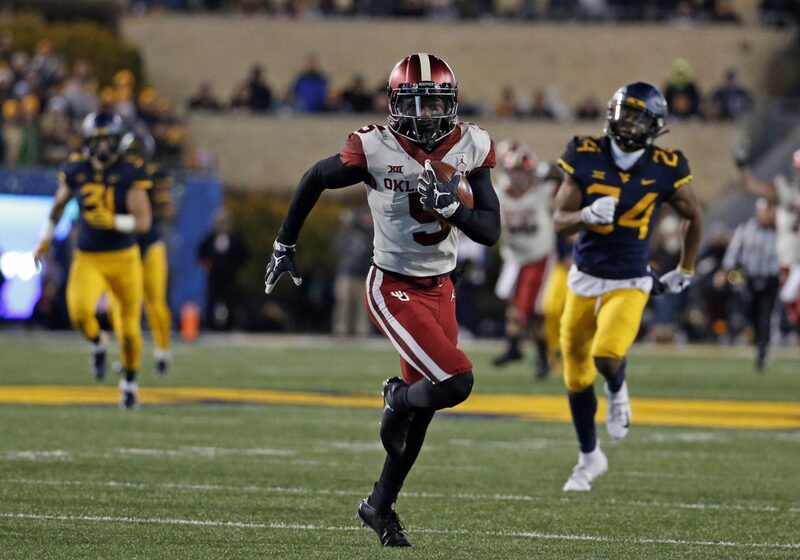 Against Colorado’s softer defense, Jones was able to show me more as a runner. Right from the start, his vision was apparent as he made three straight runs that impressed me (and the commentators too, who must have been the Colorado home game crew). Jones is not a big broken tackle runner, similar to Penny he makes his yards by eluding defenders rather than overpowering them. There were a few plays though that I noted key broken tackles by Jones, especially this 4th and Inches in the second quarter. The linebacker has a free shot at Jones behind the line but he breaks the tackle and gets the first. Two traits that Jones showed in the second half of the Colorado game were his jump cut and his patience. This replay angle shows just how much ground his jump cut can cover which is almost unfair. He later showed his patience on two plays as the Trojans were trying to run out the clock. On the first, he slowly considers three separate potential holes before finally bouncing it to the sideline and nearly getting the first down. It’s like watching him play real-life Frogger, making it up the field and toward the sideline a little at a time. Shortly after that run, he takes a stretch handoff to the right, hesitates behind his blockers and then cuts it all the way back across the field for a score. During my research, I came across many analysts who doubt Jones’ patience but I’m not nearly as concerned after watching those two plays. Again, it’s not the main part of his game but Jones showed good play strength on this off tackle run in the third quarter. A defender ends up on his back, which he shrugs off, and then he fights through a leg tackle to fall forward for a few extra yards. Strengths: Ball security, pass protection, speed, jump cut, age. Weaknesses: Weight, lack of passing game activity, age. Opportunities: Because of Jones’ ball security and pass protection, teams will trust him to be their back in all situations. Teams can spin age either way, in this case they may feel that since he’s so young he hasn’t hit his full potential yet. Threats: Due to the lack of receiving game work, teams may feel that Jones is not a great fit on third down or in the two minute drill even though he’s a good blocker. Teams can spin age either way, in this case they may feel that since he’s so young he will be immature. I think that Jones is the perfect mix of known and unknown which will entice NFL scouts. He has enough on tape to warrant being a Top 60 pick and the fact that he is so young will surely make a team want to take a chance on him becoming even better. As I mentioned in the Opportunities section above, teams will feel that they can trust Jones. 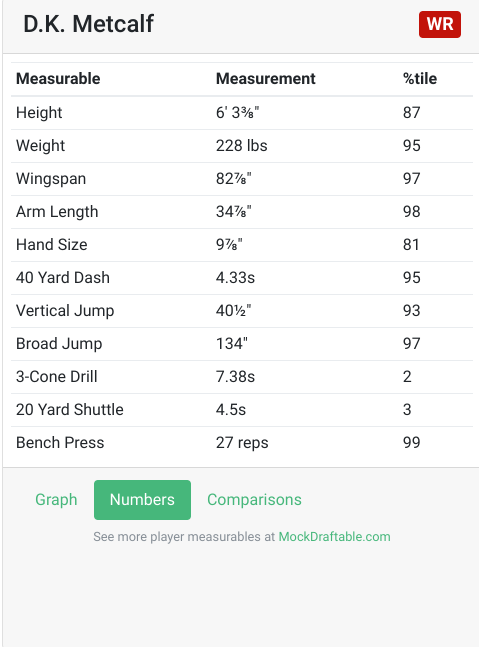 I vacillated between Lamar Miller and CJ Spiller for Jones’ comparison at first but then extended my search of combine measureables back further and found an even better comp in Charles. Charles averaged 6.2 yards per carry at Texas to Jones’s 6.1 average. Charles was a little more active as a pass catcher but not by much. Both had two sub-200 carry seasons to start their career and then ended with 250+ in their junior season before coming out early. Assuming Jones comes in at about 200lb they should match up near identically when it comes to measureables plus they run with a similar elusive, cutting style. Charles was picked in the early 3rd round which is probably the worst case scenario for Jones. Lamar Jackson is an interesting prospect so I wanted him to be the first player that I researched this offseason. His production and accolades are at odds with his NFL Draft stock and it’s important to know why. Jackson, a junior, is listed at 6’3″ and 211 lbs. Per NFLDraftScout.com he is estimated to run a 4.42 40 yard dash. Jackson has been free from serious injury, a surprise given his size and playing style. He also does not have any character concerns that I am aware of. There is a great story of Jackson’s mom pushing him hard as a youngster which ESPN ran last year. Stats & Accolades: Jackson has high name recognition because he was the 2016 Heisman winner and a finalist again in 2017. He was also the back-to-back winner of the ACC’s Player of the Year and Offensive Player of the Year awards. There’s no doubt that Jackson is talented and puts up big stats but there are a few red flags that warrant a closer look. First off is the fact that Jackson is not a very accurate passer. He has never completed 60% of his passes in a season which is not unheard of but is not a good sign. What doesn’t show up in the above stats are all of the sacks that Jackson takes. In 2017 he took 29 while in 2016 he took 46 (the most taken by a quarterback in 2017 was 39 by Luke Falk). When I looked deeper into Jackson’s statistics and game logs, I was even more concerned with Jackson’s accuracy. In the first quarter in 2017, Jackson completed over 66% of his passes. In subsequent quarters, it falls to under 60% with the worst percentage coming in the fourth quarter (54.9%). It seems that as the game wears on and Jackson tires from all of his running, his ability to complete passes suffers. It might also be that in clutch moments, Jackson (and likely his coaches) don’t trust his arm. As his completion percentage drops throughout the game, his yards per carry increases. His yards per carry average is highest in the fourth quarter (7.51 vs 6.66, 6.68 and 6.79). Jackson’s best game of the year, as a passer, came in the season opener against Purdue. He completed 65.2% of his passes and threw for 378 yards and two scores. 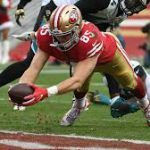 In addition to having a reputation as an inaccurate passer, Jackson has a reputation as having a good deep ball. Unfortunately, that deep pass was rarely on display in the two games I watched of him. I dug into Jackson against Mississippi State (the bowl game) and Clemson (third game of the season) so that I could watch him against two tough defenses and at different points of the season. On the whole, I was disappointed. We know he is a supreme athlete and can run better than just about anybody in the game so I won’t spend much time on that. I did take note of one rushing touchdown which stood out because it showcased his speed and elusiveness but also his toughness which I think is under advertised. The play was in the second quarter against Mississippi State. Jackson took the shotgun snap from the left hash and sprinted right on a designed run. He realizes he cannot get the corner and instead plants his foot into the ground and makes a hard cut up field. The cut allows him to slip between an over-pursuing defender and one who was trying to join the play. After he makes the cut he accelerates for a few yards and, about three yards from the end zone, half-hurdles half-jukes a defender and awkwardly leaps into the end zone. He easily could have slid or gone down to protect his body but he sold out for the score. Obviously, that toughness can easily lead to injury but Jackson has been lucky in that regard. In the Mississippi State game, Jackson missed a number of throws high and behind his receivers. It appears that he struggles to anticipate the receiver’s route on crossing patterns. This was a theme against Clemson too. Early in the first quarter, already down by a touchdown, Jackson had WR Jaylen Smith open on a deep post. He put the ball high and behind Smith and the ball fell incomplete. It would have been a big play to get the offense closer to scoring position but it also would have helped in the field position battle (after Clemson punted after their ensuing possession, Louisville got the ball back inside their own five). Throughout both games, it was clear that Jackson struggles feeling the rush and does not respond well to the pressure. This is borne out in the sack stats mentioned above. 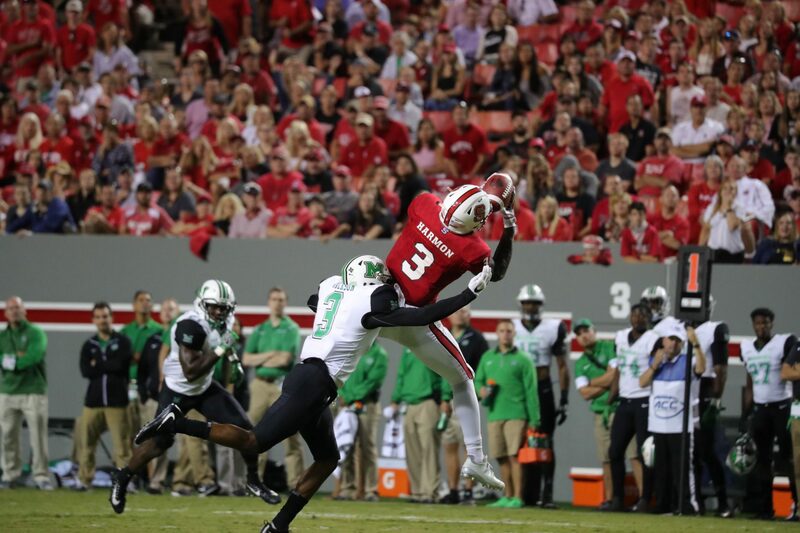 There was one strange play against Clemson where Jackson was pressured after Clemson got caught mid-substitution and managed to throw a touchdown pass to his TE who managed to high-point the ball. A pro-Jackson fan could say he put the ball high where he knew his taller TE could out jump the defender; an anti-Jackson fan would say that it was another high throw that he was lucky to complete. Jackson does not throw a ton of interceptions despite what I saw against Mississippi state when he threw four. In the Clemson game he did throw a particularly killer pick-six in the third quarter. The Cardinals were down 19-7, points on that drive would have significantly improved their chances to hang in the game. Instead, the poor pass turned into seven points the other way and after Clemson scored on their next possession the game was already out of reach at 33-7. I do not believe Jackson has much experience progressing through reads and reading the full field. On many completions he is simply throwing it to his first read; his second “read” is often to tuck the ball and run. One positive on Jackson’s throwing ability is that he can really fire it to his receivers. At one point in the Clemson game, the commentator said he was throwing “heat seeking missiles” to Jaylen Smith. That arm strength can help him fit the ball into tight windows, when thrown accurately, and is the reason he can throw the deep ball successfully. Strengths: Rushing ability, 4.40 speed, arm strength, toughness, confidence, durability despite being a rushing quarterback. Weaknesses: Accuracy, composure in the pocket, decision making under pressure, thin frame for an NFL quarterback. Opportunities: Deshaun Watson showed NFL personnel that an athletic but inaccurate quarterback could have success in the NFL. If paired with a creative offensive coordinator and strong offensive line, Jackson could flourish. Threats: Some NFL scouts will want to change his position. The Watson comparison also shows that injury is a risk. He will be very dependent on his head coach, offensive coordinator and supporting personnel more so than some quarterback prospects. I believe that Jackson will fall out of the first and be a target for a team in the early 2nd Round, maybe a target for a team trading up to get the 33rd pick. I would not be surprised to hear that some teams have him off their board all together at QB. It only takes one team though to think that they know best and have the perfect scheme for him to succeed. Jackson is a bit taller than Taylor but otherwise they have similar athletic profiles. Their rate stats in college were also similar (i.e. under 60% completion percentage). Jackson is a more dynamic runner than Taylor though. 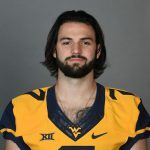 In the NFL, Taylor has become a game-manager quarterback with a higher completion percentage and few mistakes but it took him four years as a backup to get to that point. Jackson likely won’t get that luxury being such a high pick. I anticipate that many people will compare Jackson to Robert Griffin III but I don’t see it. RGIII was a bit heavier and was a significantly more accurate passer than Jackson. I am higher on Mason Rudolph than most analysts. Earlier in the year, I had Rudolph ranked as my second quarterback, ahead of Sam Darnold and just behind Josh Rosen and he’s still in that range for me. Rudolph likely won’t start in the NFL in 2018 but he has the experience, size and arm strength that scouts will love. In my opinion, he’s a high ceiling, low floor player. He may not have the star potential of Sam Darnold but but he’ll be a solid pro. 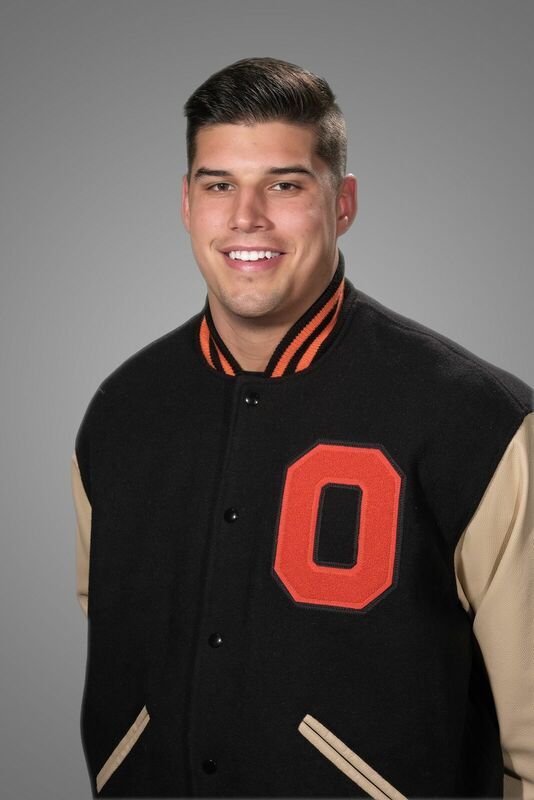 Rudolph is a senior who played 42 games in his career in Stillwater. 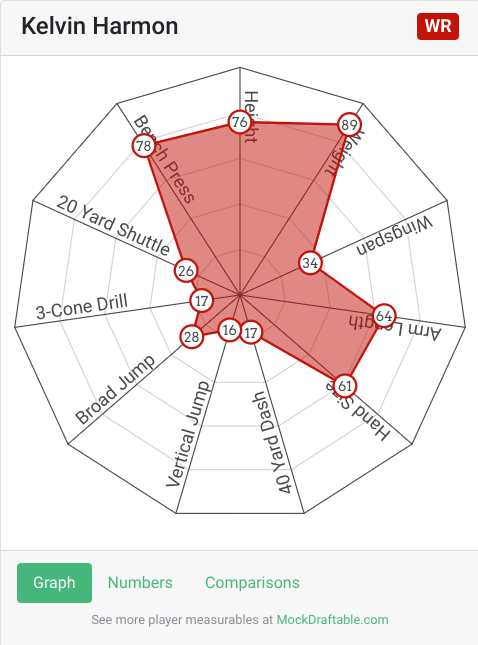 He has elite size at 6’5″ and 230lbs and I believe he has underrated mobility. 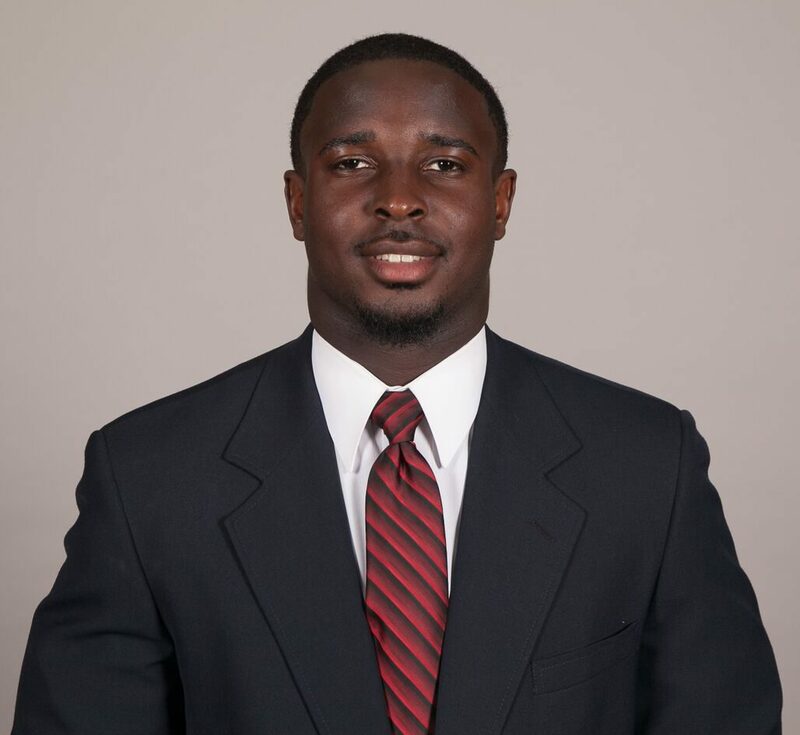 Since taking over as the starter as a true freshman late in the 2014 season (the team had to burn his redshirt due to an injury to their starter), Rudolph has avoided injury. A sprained ankle forced him to miss all but one series against Oklahoma in 2015 and a “very minor,” yet undisclosed, injury limited his productivity this year against Texas. He’s also free from character concerns like suspensions or arrests. Rudolph instantly became the BMOC in 2014 when he led a comeback victory against a ranked Oklahoma team in their annual “Bedlam” rivalry game. Stats & Accolades: Mason Rudolph’s stats speak for themselves. He’s a high volume, deep ball thrower who feasted on weaker Big 12 defenses. He has 92 career passing TDs and nearly 14,000 yards – crazy. In 2017, he led the FBS in passing yards, ranked 4th in passing TDs and was 3rd in rating. He won’t win any of the country’s biggest awards but he did win the Johnny Unitas Golden Arm award. That may not sound like much but when you look at the history of the award there is a great recent history: Deshaun Watson, Marcus Mariota, AJ McCarron, Andrew Luck, Matt Ryan and Eli Manning. Rudolph beat out Mayfield for the award, one would presume, based on character as that is listed as a key component. It’s easy to be blinded by the big numbers so let’s take a closer look. I used Pro Football Focus’ Signature State Guide to go deeper on Rudolph. In their three key quarterback metrics, Rudolph ranked 22nd or better. His Adjusted Completion Percentage, which accounts for drops, was 73.9% (22nd). His passer rating under pressure was 95.5 (15th). His passer rating on deep throws was 118.1 (7th). He threw for more yards on deep passes than any other player in the sample (1,562). I also reviewed Benjamin Solak’s Contextualized Quarterbacking treatise (a fantastic read, by the way). Solak’s data shows that Rudolph completes 61% of his passes when he goes beyond his first read. On those plays, he throws an “interceptable” ball 34% more often than when he throws to his first read. 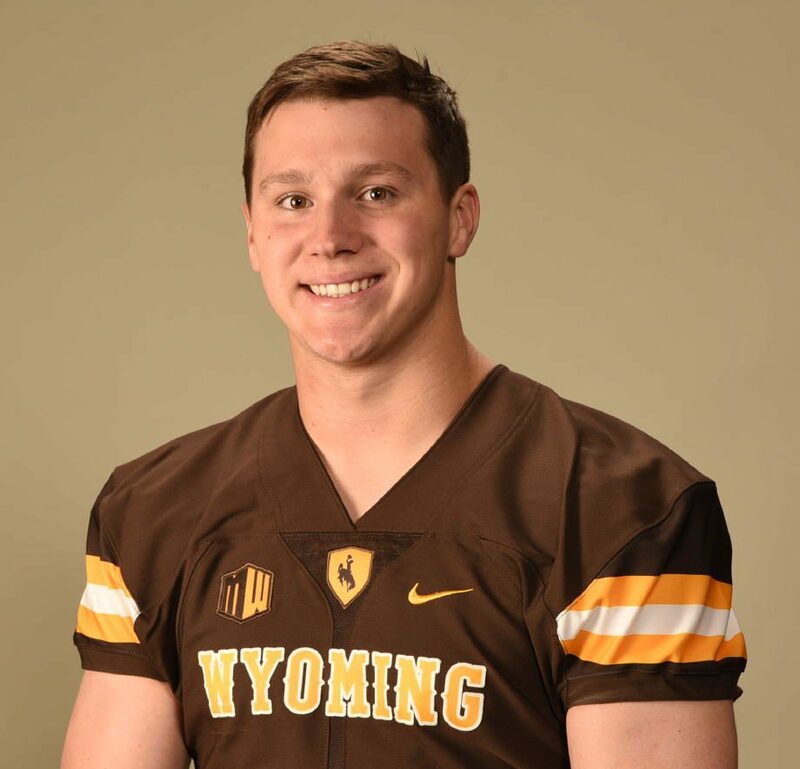 This may sound like a lot but not when compared to other top prospects, specifically, Baker Mayfield (throws interceptions 81.7% more often after the first read) and Josh Allen (288.9%). Solak goes on to show that Rudolph struggles when fitting a pass into a “tight window.” He only completes 35% of those passes and throws “interceptable” balls 402.2% more often, which is significantly worse than Mayfield and Allen. Solak’s data also shows that Rudolph does not benefit from Yards After Catch (YAC) as often as other passers do. In his study of the eight Senior Bowl quarterbacks, Rudolph had the second lowest YAC percentage (37.8%). When paired with the stats of his deep ball passing, it shows that Rudolph can really chuck it and accurately so. If you see a 58 yard reception in the box score, chances are the ball flew 50 yards with 8 yards coming after the catch, rather than vice versa. After going through two games worth of Rudolph’s film I was not disappointed. Were there a few things I noted that could be improved, sure, but I do not feel that he has any glaring weakness to his game. The first thing I noted in the Pitt game was Rudolph’s excellent field awareness. The play came early in the first quarter when Rudolph was about to be sacked in his own end zone for a safety. He had the presence of mind to reach the ball across the line to avoid the turnover. It is a simple play but one that many less experienced quarterbacks would not make. His composure was on display on two big third down plays as well. The first, against Pitt, was a 3rd and 11 from his own 31 yard line. Rudolph takes the shotgun snap and takes a three step drop before the pocket collapses around him. He spins out of the grasp of the first defender and then breaks a second tackle as he rolls left. Rather than throwing while on the run in the opposite direction, he sets his feet and looks down field. He skips his first read and throws a 35 yard pass to Marcell Ateman. Ateman breaks a tackle and beats the last defender to the end zone. The sky cam replay showed a great view. Rudolph threw his receiver open along the sideline and away from the defender. A great play. Against Iowa State, he made a similar pass on a 3rd and 13. He stepped up to avoid the rush only to have the spy come forward to cut off Rudolph’s running lane. He gives a bit of a shimmy as he moves right and brushes off the arm tackle. He finishes off the play with a 20+ yard pass. Rudolph also shows his composure when he’s not chased from the pocket. Late in the Iowa State game, down by eight, the Cowboys found themselves behind the chains with a 3rd and 22. I couldn’t remember the outcome of the game but I just knew Rudolph would find a way to convert and keep his team in it. Sure enough, he delivered. He had great protection and showcased his great footwork in the pocket as he went through at least three reads. He did not get antsy and let the play develop. He finally airs one to Ateman in the back of the end zone for a score. As I’ve mentioned elsewhere in this write-up, I believe Rudolph has better mobility and is a better athlete than he is credited for. He won’t be winning any straight line races but he has enough wiggle and strength to fend off rushers and to rush for short gains. Some of the plays I described above showcased this ability perfectly. Another play that helps make my case came on a 4th down late in the Iowa State game. Oklahoma State needed six yards to keep the game alive – they were down by eight at the time. The play call was definitely a pass as all of the receivers are running routes and not blocking but as soon as he receives the snap, Rudolph takes off. I assume he made the decision pre-snap after seeing the defensive alignment (or maybe the play caller told him to do it but not tell the other players to really sell it, either way it’s a good sign). He runs for eight and safely slides to avoid a big hit. Another positive I noted was Rudolph’s ability to lead his receiver and anticipate their route. It led to three scores to for the speedy WR Jalen McCleskey against Pitt. Two negatives I noted were: 1) his play action fake does not seem to be very effective and 2) I counted four throws from the left hash to the right boundary that were poor. We know Rudolph has the arm strength to make the throw across the field but I think it comes down to the ball placement as Solak discusses in his Contextualized Quarterback research. Strengths: Size, arm strength, deep ball, durability, experience, high character, composure, underrated mobility. Weaknesses: Few passes outside of the pocket or on the run, ball placement in tight windows, offensive scheme in college, quiet leader. Opportunities: Could start in year one if needed because he is experienced and has played in big games. He has already showed that he can come in as an inexperienced first-year player and win games. He appears to be a quiet leader which may not be great for the college game but will be better in the NFL. Due to his arm strength he will show-out at the combine, pro day and in training camp. Threats: Some teams may not like that he is not a rah-rah guy. Teams may also question his ability to transition to an NFL style scheme. He’ll need to land with an offense who heavily utilizes shotgun as I don’t recall a single snap from under center. The heavier pass rush and tighter coverage he’ll face in the NFL could pose a problem for him. Quarterbacks inevitably get drafted higher than we expect at this point in the process. I think Rudolph would be the perfect backup for a team with a one or two year transition coming at the position. Maybe to a team like Pittsburgh? I had this comp in mind early during my research of Mason Rudolph and I just couldn’t get off it. 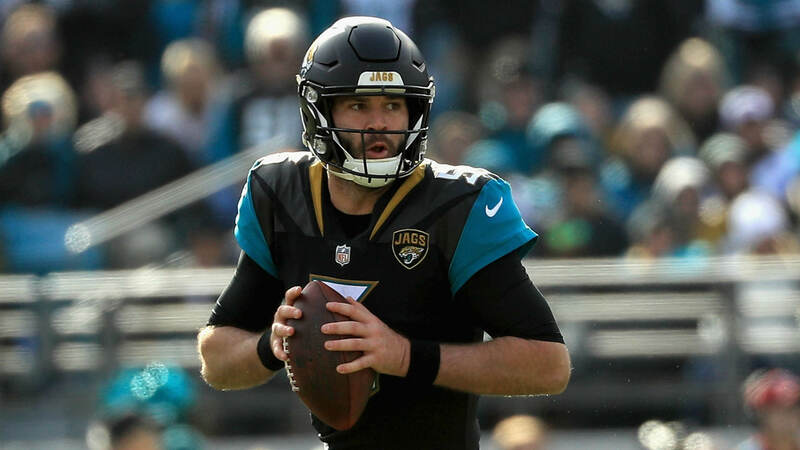 I also considered Blake Bortles but Bortles was less experienced than Rudolph at this point in their careers and is likely a faster runner. Ben and Mason are of similar size and build. They were both three year starters who led their team to more wins than the school typically had throughout their history. They had similar senior seasons (37 TDs, 4,400+ yards, 63%+ completion percentage, rating around 170.0). Roethlisberger has a reputation of not being fast but of being good at moving in the pocket – given some more practice, I could see Rudolph playing similarly. Roethlisberger went 11th overall in 2004 in a quarterback class that featured two major names (Eli Manning and Philip Rivers) that overshadowed the other prospects. Sound familiar? Josh Allen has had a long and interesting road to this point in his football career. As an outside observer, I have to give him credit. Coming out of high school he did not receive a single offer and instead went the community college route before getting offers from Eastern Michigan and Wyomin. ESPN ran a detailed piece in the preseason which they updated in December which shows just how determined Allen was to get a shot. (Bonus points to author Mark Schlabach for one of the best lines I’ve read all year: “His unsolicited emails went over like a loan request from a Nigerian prince.”). Like Mason Rudolph, Allen has elite size; unlike Rudolph, Allen struggles with accuracy and did not dominate in college as you would expect against Mountain West competition. Allen will be a high draft pick but he won’t end up on any of my fantasy teams. His inaccuracy, failure to dominate lesser opposition and his injury history all give me pause. He seems like a good kid with a great story but he’s being over hyped in my opinion based on a handful of big plays. Stats & Accolades: As I mentioned above, the biggest knock on Allen’s stats is his inaccuracy and his inability to succeed at a high level against lesser defenders. Over his two year career, Allen completed just 56.2% of his passes. His stats in 2016 were solid and promising given that he wasn’t on anybody’s radar but 2017 left a lot to be desired. Allen took better care of the football in 2017 (he cut down on his interceptions, 15 to 6, and fumbles lost, 5 to 2) but saw his yardage per attempt plummet. Allen played well but not great against many Mountain West foes. Against Boise State, the conference’s best defense this year, he completed just 44% of his passes for one score and two picks. 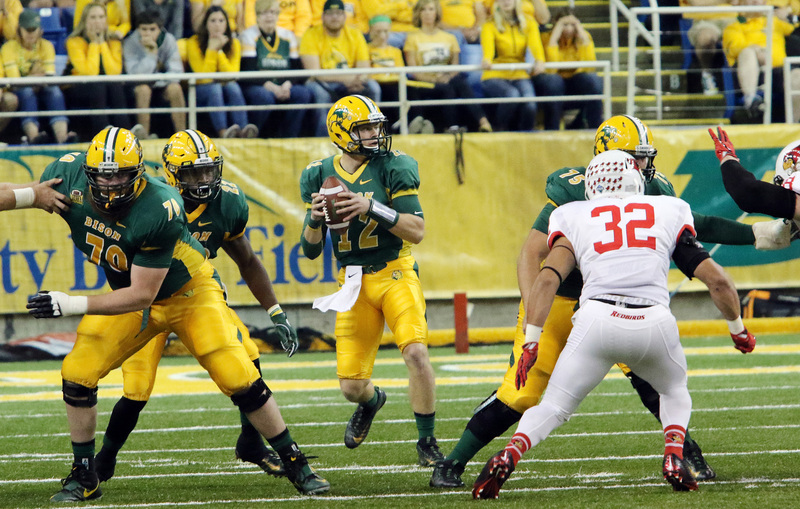 In three career games against Power 5 opponents (Nebraska, Iowa, Oregon) Allen also struggled. 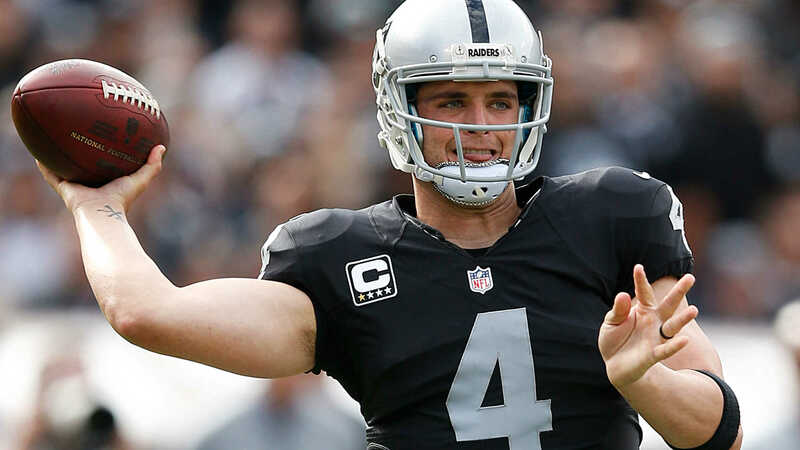 He completed just 50% of his passes for a combined 427 yards, 1 TD and 8 INTs. My concerns with Allen hold up when you scrutinize some advanced stats. Pro Football Focus gives him an adjusted completion percentage of 65.2%. That may look good but keep in mind that it’s the lowest of any of the top quarterback prospects; Sam Darnold, second lowest, is at 70.6%. The same holds true for his completion percentage under pressure. He’s lowest of the cohort at 52.2% with Darnold second at 59.7%. The aforementioned Contextualized Quarterbacking study by Benjamin Solak finds that Allen’s placement is worse for throws behind the line of scrimmage than throws within nine yards of the line. That’s an odd stat that matches what I noticed while watching Allen against Iowa. Solak goes on to note that Allen rarely goes past his first read with just 18 completions on such plays. I struggled to find positives when studying Allen’s stats. His 2016 passer efficiency ranked 32nd in the FBS and his 28 TDs tied for 20th. His best stat in 2016 was yards per attempt which ranked 8th. Strengths: Arm strength, perseverance and dedication to get this far, elite size, ability to throw on the run. Weaknesses: Accuracy, performance against subpar opposition in MWC, questionable pocket presence, lack of pedigree, injury history. 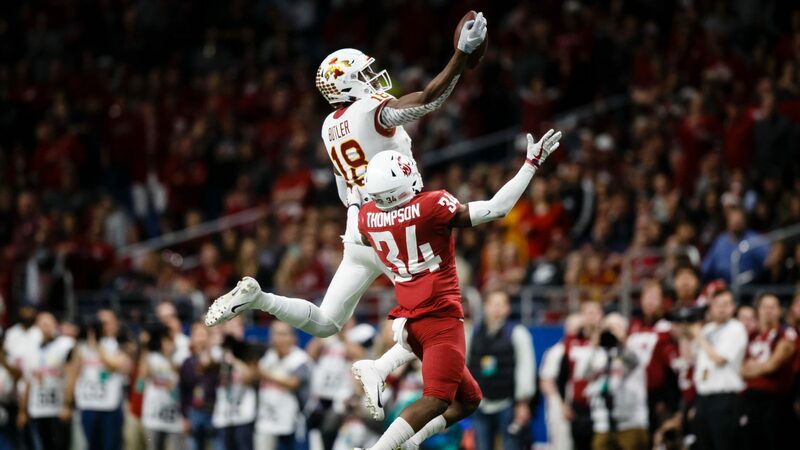 Opportunities: Allen has some great plays on tape and some scouts will inevitably fall for him thinking they can fix the problems in his game. QBs of this size are always overvalued. The success of Carson Wentz and Jimmy Garoppolo so far will help show that you can be successful in the NFL even if you didn’t play against top talent in the NFL. Threats: As scouts watch more tape, they may become more worried with the inaccurate throws and the degradation of Allen’s mechanics under pressure. 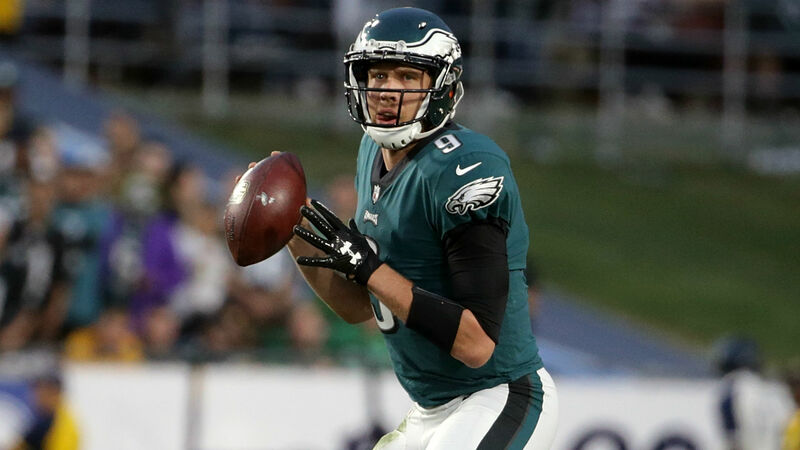 There are some recent big name clavicle injuries (Tony Romo, Aaron Rodgers) which could force Allen to undergo additional medical scrutiny. There’s too much buzz around Allen right now for him to fall out of the 1st Round. I wouldn’t bet on it but an Aaron Rodgers like fall to a pick in the 20s may not be out of the question. The hype may start to fade as NFL personnel guys start worrying about the negatives they are seeing on tape rather than gushing about the positives.